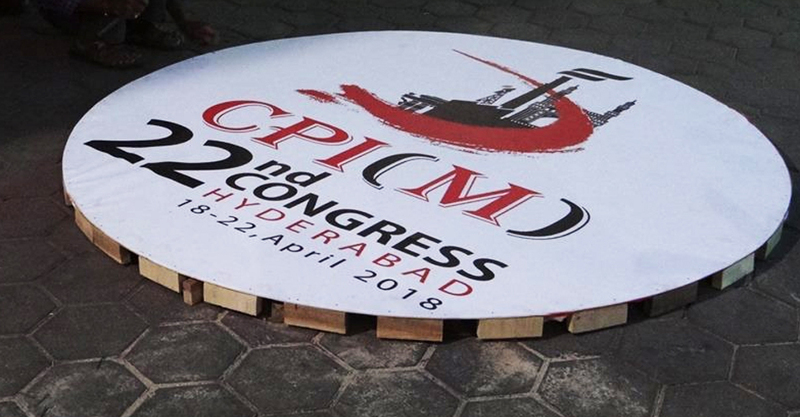 CPIM 22nd party congress starts today at Hyderabad. The five day conference will pass resolutions and elect new general secretary and party’s Central Committee. CPI(M) general secretary Sitaram Yechury will deliver the inaugural address on April 18. The 22nd national congress of the party will conclude with a public meeting on April 22. CPI General Secretary S Sudhakar Reddy and leaders of other Left parties would also attend the conference. 763 delegates from across the country besides over 74 observers will take part and the delegates will deliberate and pass the resolutions. 25 important resolutions covering all aspects of social and political life will be discussed and passed in the Congress. It is after sixteen years that Hyderabad is once again hosting the Party Congress. Many significant political developments have taken place during this period.